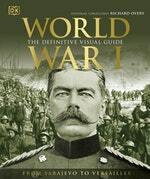 The ultimate guide to World War I. 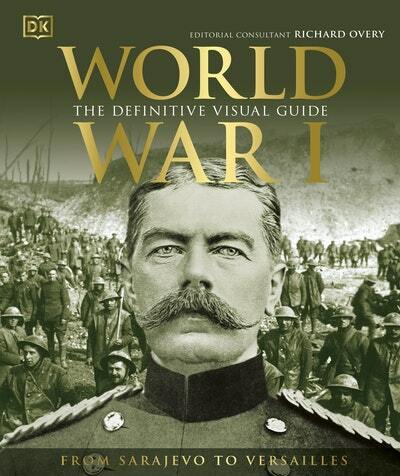 World War I: The Definitive Visual Guide takes you from the assassination of Archduke Franz Ferdinand to the Treaty of Versailles, through beautifully illustrated and easy to understand timelines. Recreate the experience of some of the most prominent battles, such as the Somme and Verdun, through compelling direct accounts from soldiers who fought as well as civilians who lived through the First World War. Marvel at the impressive weaponry and equipment used throughout the war, and learn more about the key figures, such as David Lloyd George and Joseph Joffre. Packed with images, maps, portraits, key artefacts and unforgettable first person accounts, World War I: The Definitive Visual Guide is an uniquely accessible military history of one of the world's most devastating conflicts. Love World War I? Subscribe to Read More to find out about similar books.